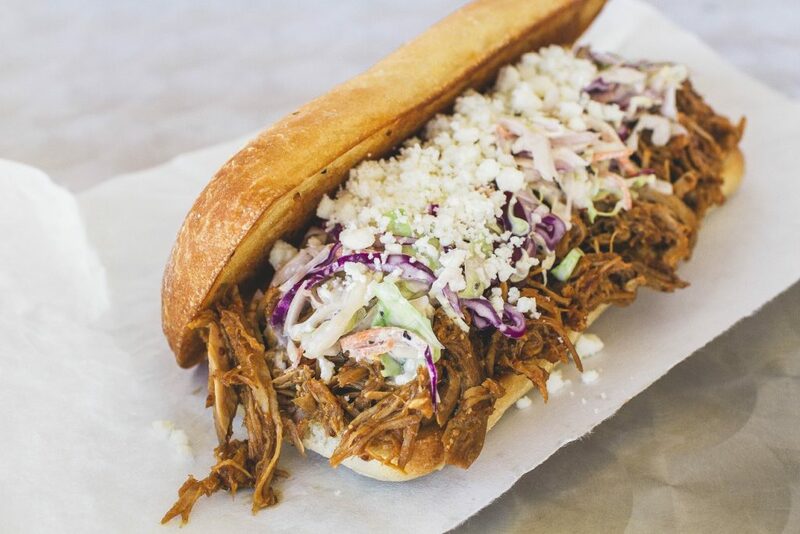 House Roasted Pork seasoned with Chipotle peppers and topped with queso fresco and homemade coleslaw on a grilled ciabatta roll. 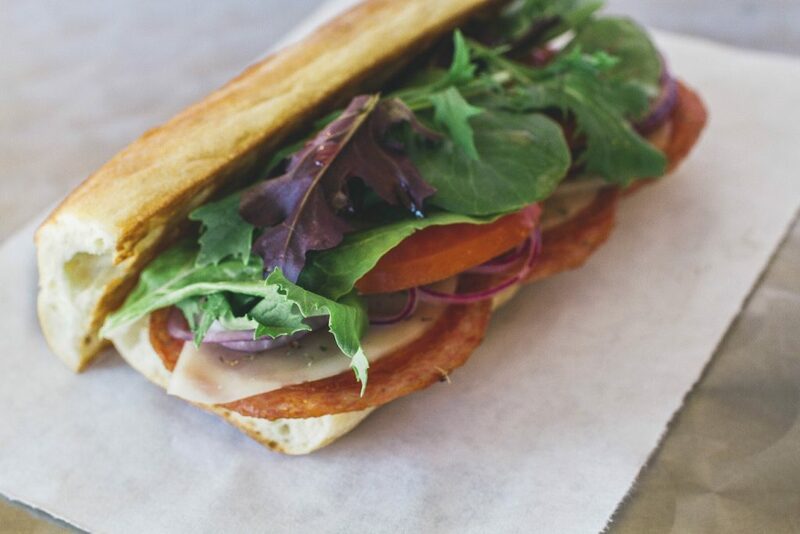 Grilled Genoa Salami and pepperoni under melted provolone cheese. 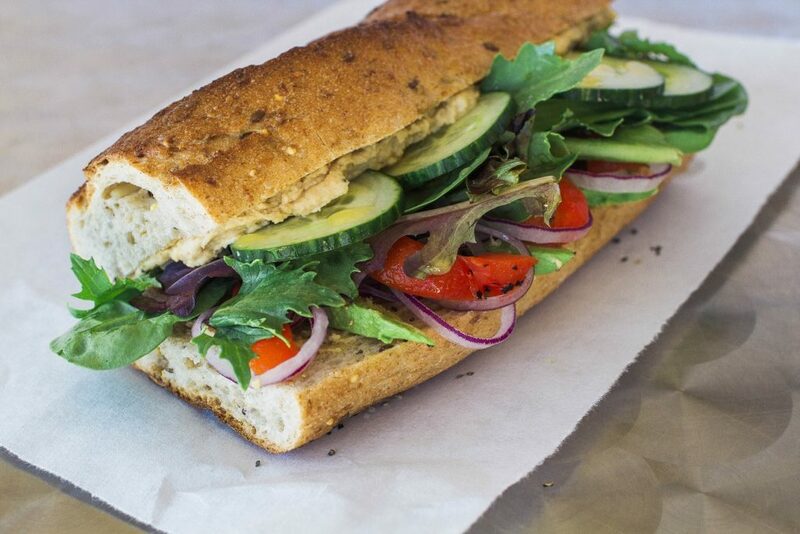 Topped with red onions, tomatoes, organic greens, Italian dressing and seasonings on a grilled French baguette. House made hummus, fresh avocado, fire roasted red peppers, cucumbers, red onions, organic greens and Italian dressing on a wheat baguette. 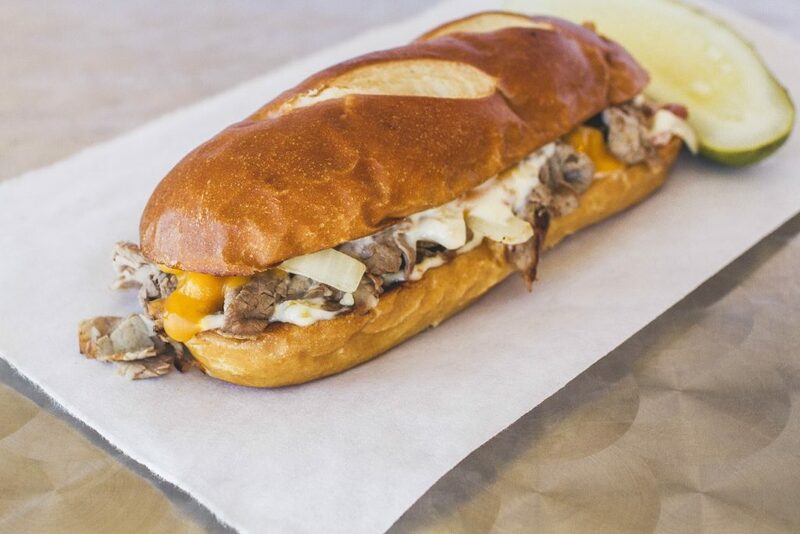 House roasted beef under melted cheddar cheese with grilled onions and cherry pepper aioli on a grilled pretzel roll. 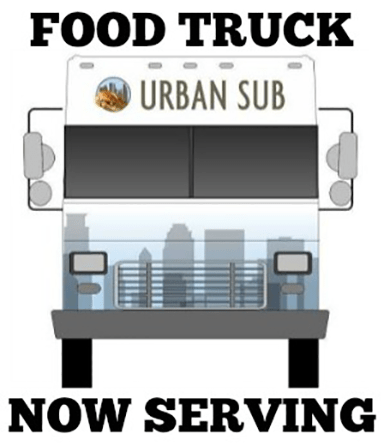 smoked turkey under melted provolone with house pickled onions, tomato, organic greens and house jalapeño spread on a grilled ciabatta roll. 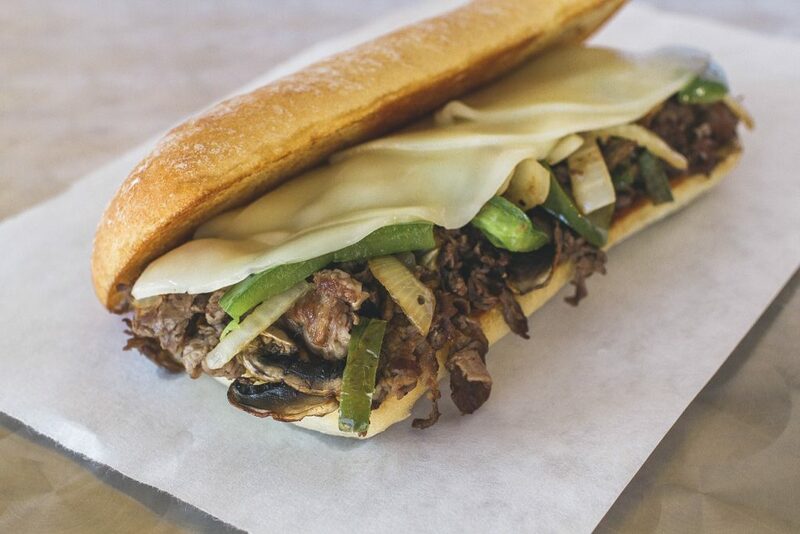 Grilled fresh Ribeye steak, grilled onions, grilled green peppers, and grilled mushrooms under plenty of melted provolone cheese on a grilled ciabatta roll. 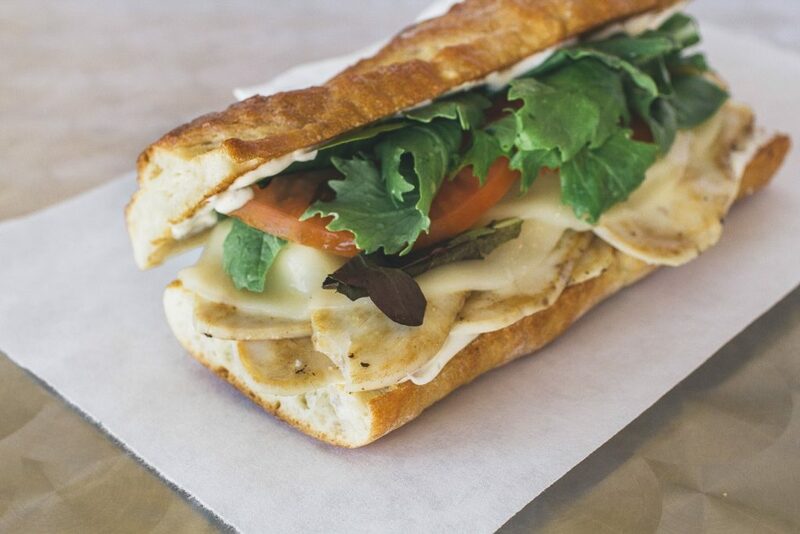 House roasted chicken breast sliced and then grilled under melted provolone cheese on a grilled French baguette with homemade Ranch dressing, tomatoes and organic greens. 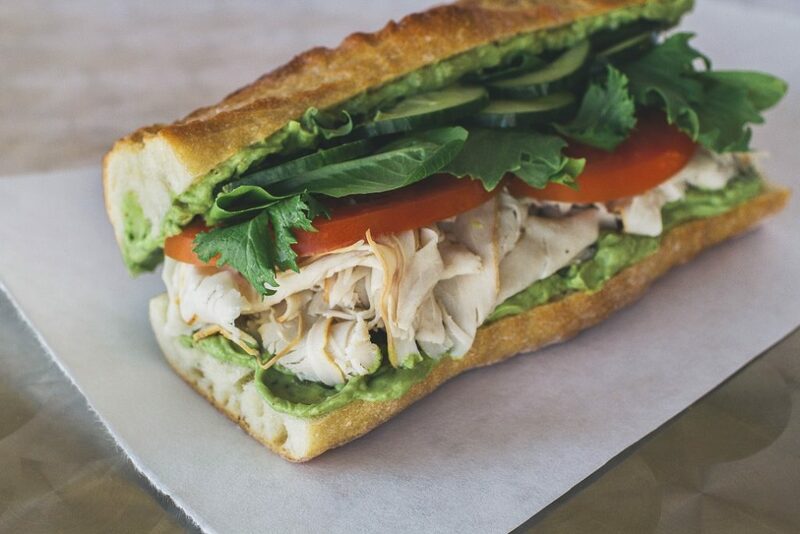 Thin sliced oven roasted turkey with our famous avocado spread, tomatoes, cucumbers and organic greens on a French baguette. 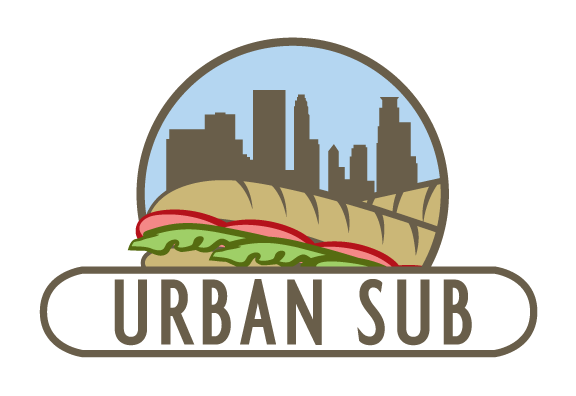 Grilled smoked turkey under melted cheddar cheese with cherry pepper aioli, tomatoes and organic greens on a grilled pretzel roll. 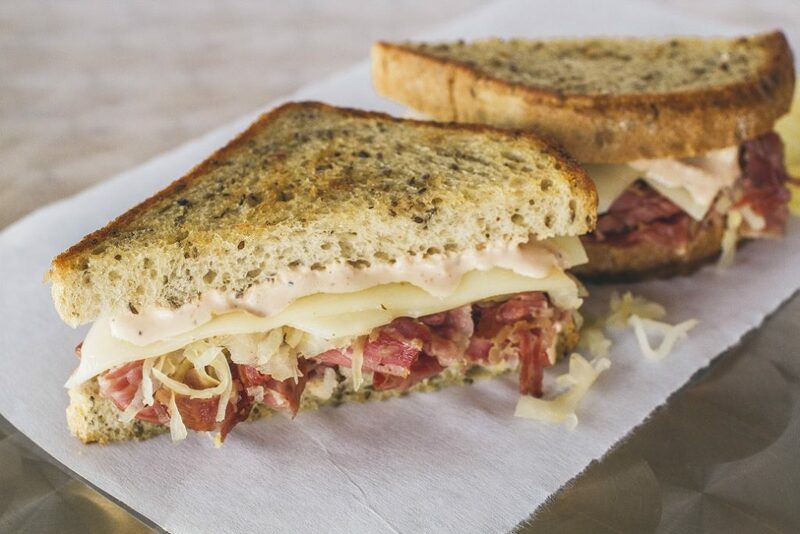 Grilled corned beef and sauerkraut under melted Swiss cheese with homemade Russian dressing on Grilled Rye. 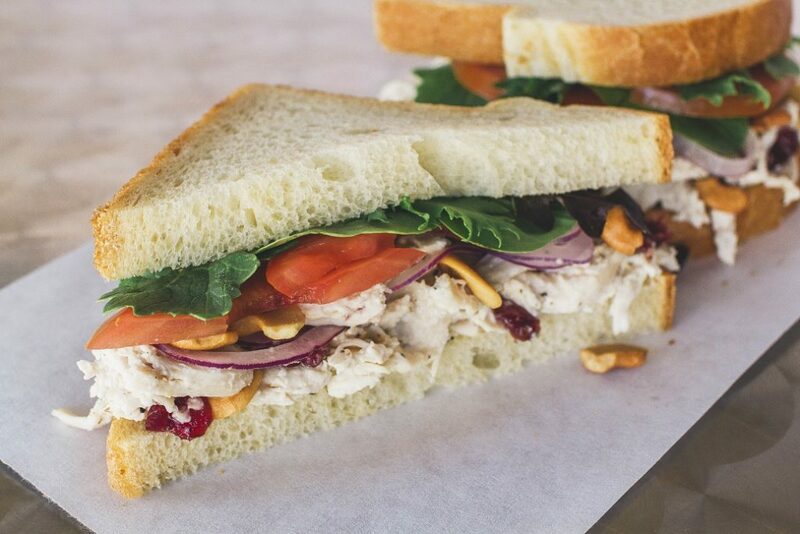 Handmade chicken salad with cashews and dried cranberries topped with red onions, tomatoes and organic greens on sliced country white bread. 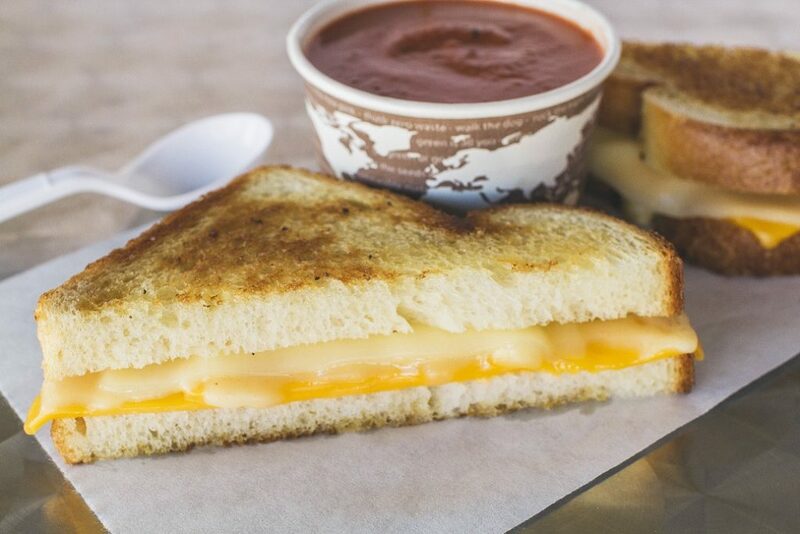 Provolone, cheddar and Havarti all melted together on grilled country white bread. 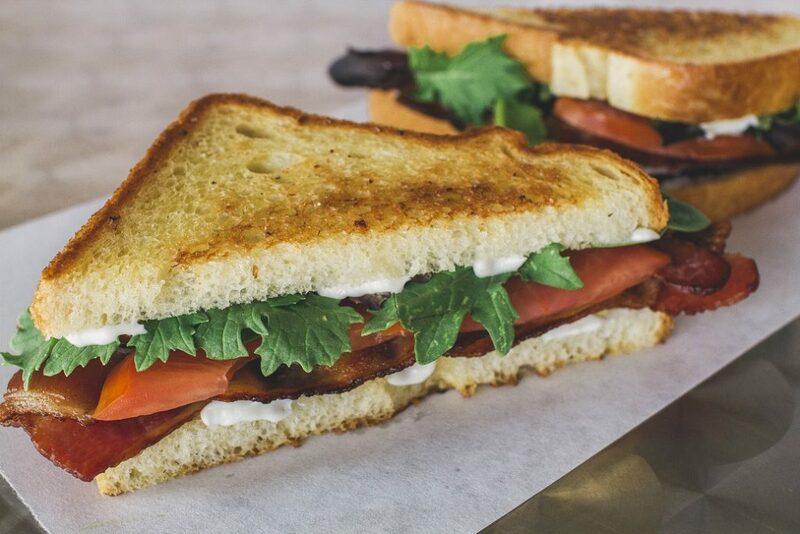 Made-to-order Applewood smoked bacon, fresh tomatoes and organic greens on grilled country white bread with mayonnaise. 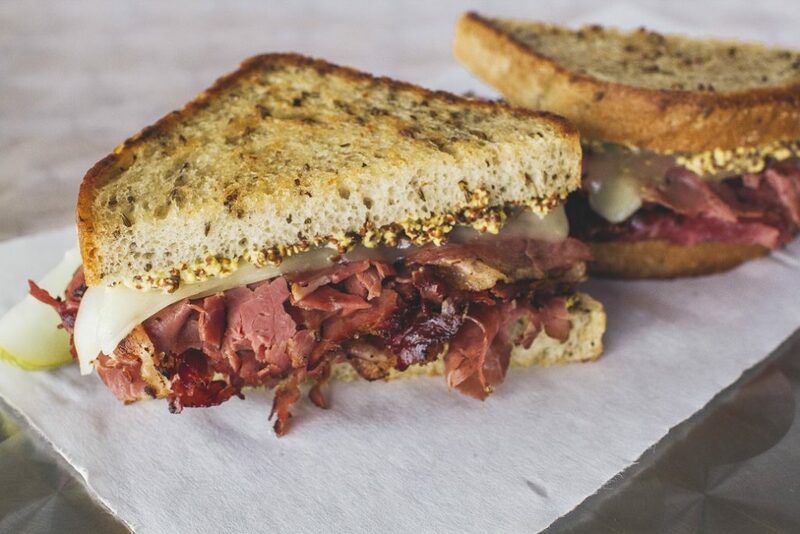 Our famous grilled pastrami under melted Swiss cheese with stone ground mustard on grilled rye. 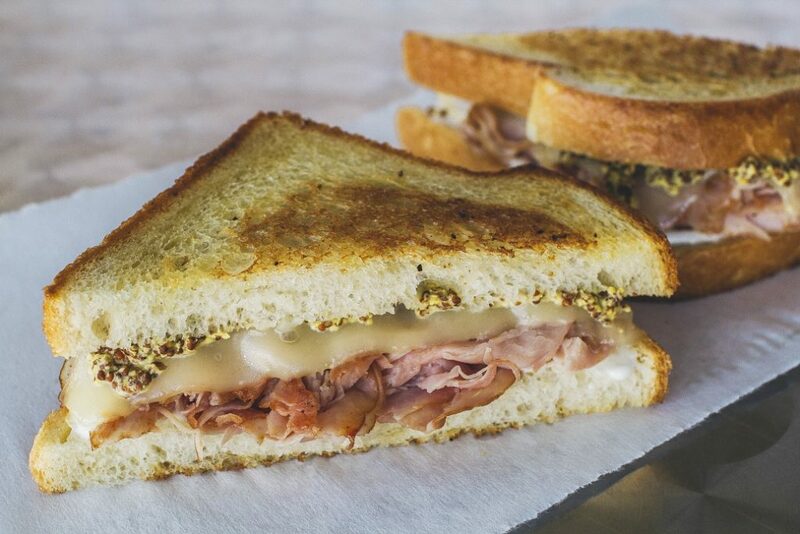 Grilled Applewood smoked ham under melted Swiss with mayo and stoneground mustard on grilled country white bread. 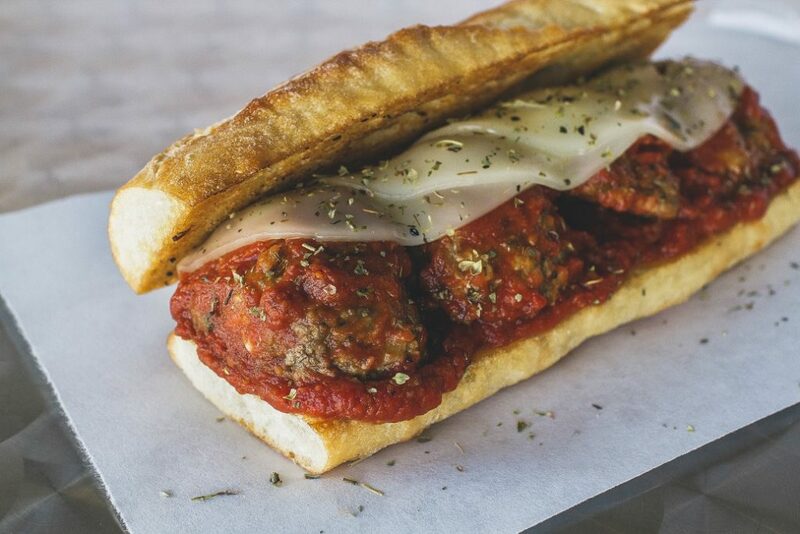 Grilled homemade meatballs and marinara under melted provolone cheese with Italian spices on a grilled French bread. 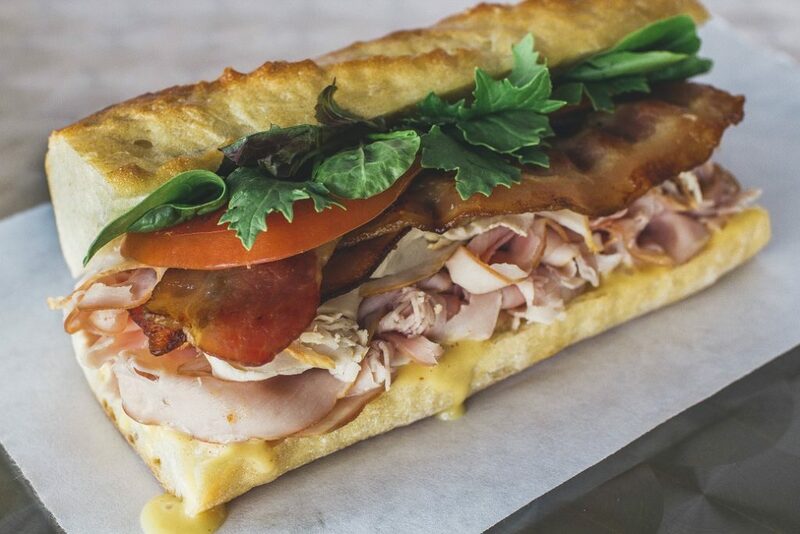 Thin sliced turkey and ham with fresh grilled bacon, tomatoes, organic greens and house-made honey mustard on a French baguette. 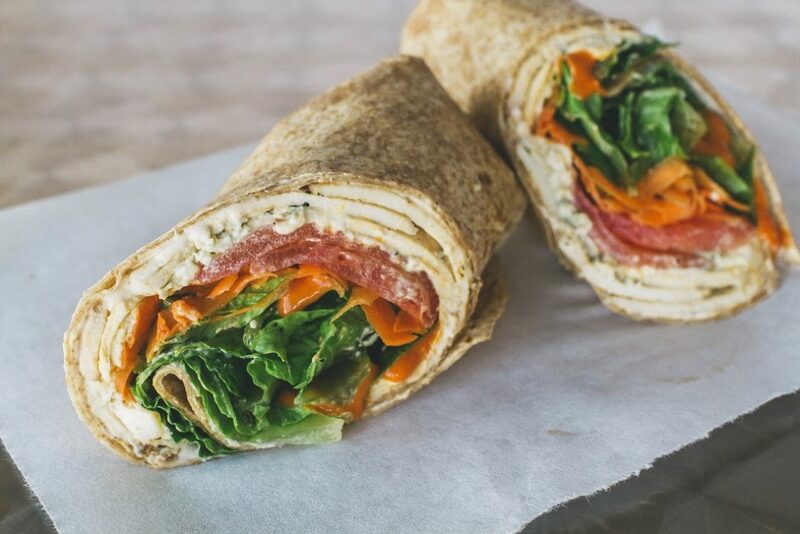 House roasted chicken breast grilled under blue cheese crumbles with our homemade buffalo sauce, homemade ranch dressing, carrots, romaine lettuce and tomatoes on a wheat tortilla. 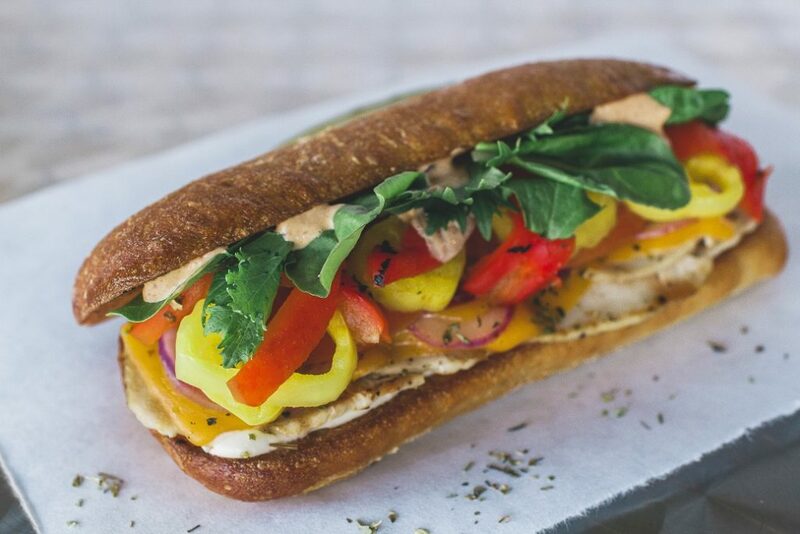 House roasted chicken breast grilled under cheddar cheese with Italian spices, red onion, banana peppers, tomatoes, organic greens, homemade ranch and chipotle mayo on a grilled ciabatta roll. 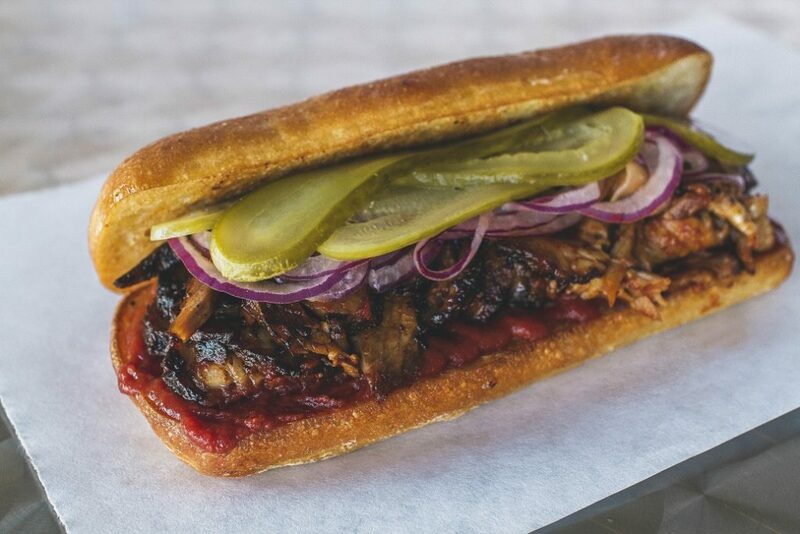 Slow roasted Brisket with homemade BBQ sauce, red onions and homemade jalapeno pickles on a grilled ciabatta roll. comes with mayo, greens, and tomato. 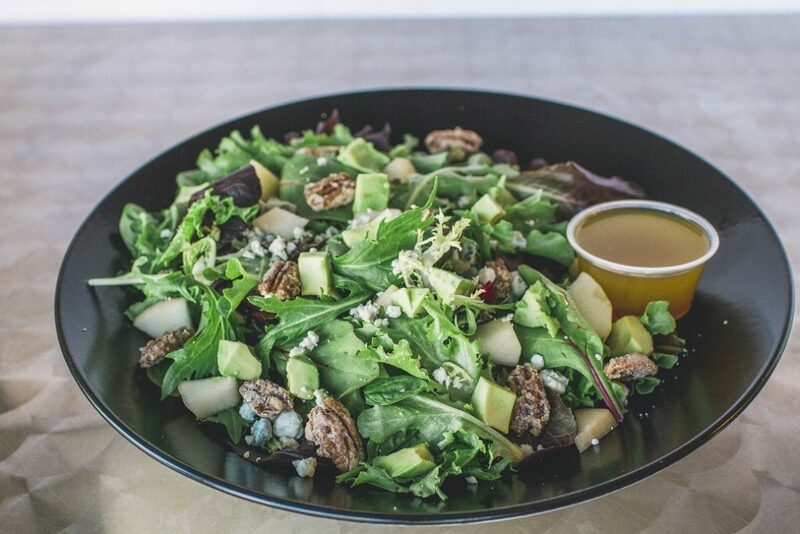 Organic greens, fresh pears, house-candied pecans, fresh avocado, blue	cheese crumbles with our Italian vinaigrette on the side. romaine lettuce, tomatoes, carrots, green peppers, cucumbers and homemade ranch dressing on the side. 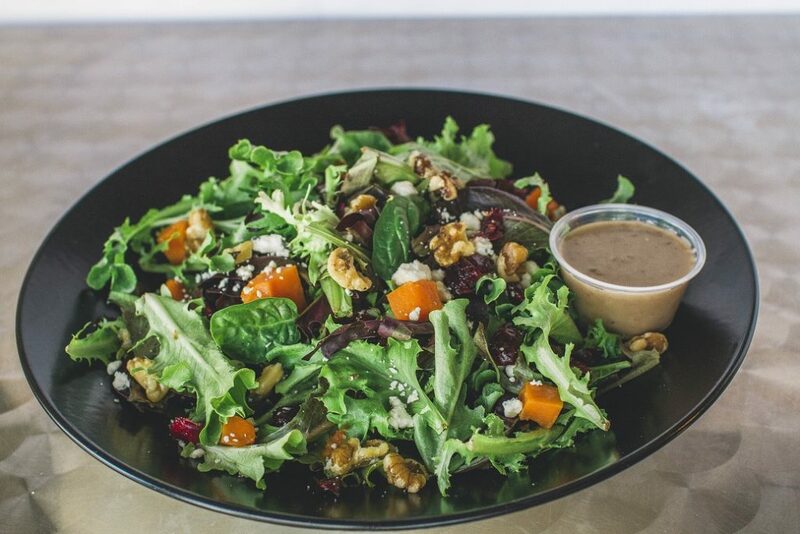 Organic Greens, house roasted sweet potatoes, walnuts, dried cranberries and blue cheese crumbles with our Italian vinaigrette on the side. 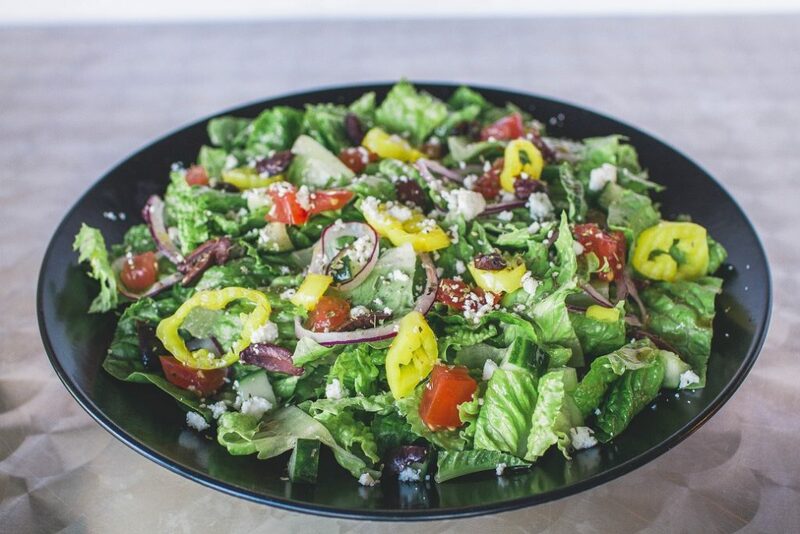 Romaine lettuce, kalamata olives, banana peppers, tomatoes, cucumbers, red onion, Italian seasoning and feta cheese with our Italian vinaigrette. organic peanut butter and jam on country white. cheddar and provolone on country white. Applewood smoked Ham, Swiss cheese, mayo, organic greens and tomatoes. 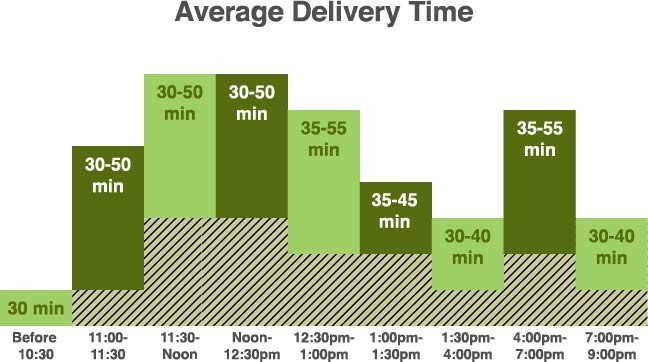 Make your order a full meal and save! 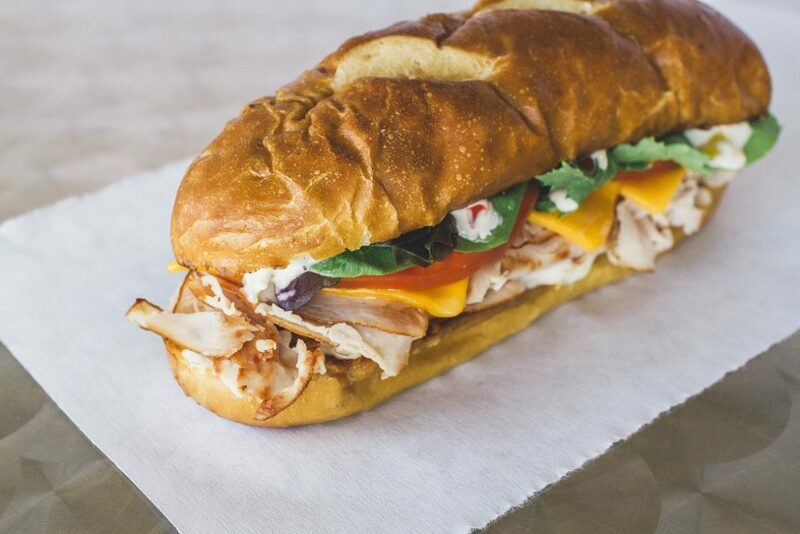 Order a side and drink with your sub, sandwich or salad and receive $.75 off!